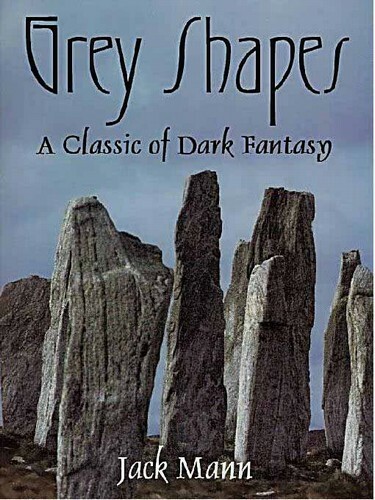 The Classic of Dark Fantasy! Grey Shapes brings Gregory George Gordon Green (or as he is known to intimate and enemy alike, "Gees"), ghost-hunter extraordinaire, face-to-face with the greatest challenge of his career. Who—or what—is killing the sheep of Downslandbar? Philip Tyrrell, one of the biggest local farmers, hires Gees to find out. The Downslandbar constabulary are powerless to stop the attacks, which are carried out by strange "grey shapes" that strike from the fog; the local sheepmen, practical, unimaginative individuals all, claim no dog is responsible for the damage—but something unearthly. But Gees soon begins to suspect that Tyrrell's fiancee, Glyda McCoul, is a member of an ancient, undying race of shape-changers, the Duione Sidhe. And behind her is the more sinister, terrifying figure of her father, the McCoul who has purchased the castle of Locksborough, once named Loki's Barrow and the scene of black magic and evil deeds. If Gees is right, ancient demonic forces from Britain's remotest past have returned with powers undreamed of by modern man, determined to reinstate the reign of Hell on Earth—and Philip Tyrrell has been selected to play a very unusual part. Armed with nothing more than his wits, Gees must confront the powers of darkness in the darkness on the darkest night of the year. A must-read for lovers of dark fantasy and horror.